UK Versity Online would like to invite you to attend the “GRADUATION Ceremony” event on Thursday, the 7th of July 2016. 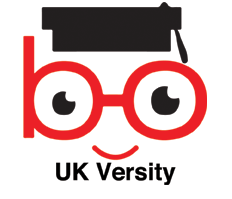 UK Versity Online is a private e-learning provider of Higher Education courses catering to learners globally. Last year, 117 students and professional achieved their diploma and degree qualification in Business & Strategic Management, Health and Social Care, Masters in Business Administration, Bachelors in Marketing and Teaching. The graduation ceremony event will have presence from our awarding organisations including ATHE, NCFE, OTHM, Digital Marketing Institute and LRN Global. We have also invited the local press and a few key businesses to the event. To confirm your attendance and if you’re bringing guest, kindly complete the form online and reply to us on the email with names of guests attending the ceremony.